Whether or not you believe that entities of an extraterrestrial nature are making contact with humans on Earth, it is difficult to not notice how much more the subject is coming up in all areas, from entertainment to serious claims by scientists and government officials. There should be no doubt, at least, that creatures which come from outside of Earth is a subject which those who are directing the flow of society and opinions want people to think about. Many dates have been predicted about when there could be some sort of public disclosure from governments to citizens about the existence and contact with extraterrestrials. I do expect such a thing to happen, but i do not expect it to happen the way most others do who are expecting it. I expect no announcement from leaders to shocked citizens watching their televisions in disbelief as perhaps Obama or some other nation’s ruler introduces an alien standing next to him to the world. What i see happening and what i believe we will continue seeing is a steady progress of small disclosures, first by less mainstream scientists and then gradually more mainstream ones along with events which are witnessed by people in various places of more and more frequent unexplainable events coming from the heavens. By such a time that a world leader would openly introduce or announce extraterrestrials to the world, people will no longer be shocked. They will be already aware and prepared for the introduction. That is what this time is for the rulers of the world and their allies, who are fallen angels. It is a time of gradually preparing the masses as is always done when they choose to introduce any new condition to humanity. Now is perhaps the perfect time for the first words from heavenly realms to reach the ears of humans, even if it remains a carefully controlled rumor. 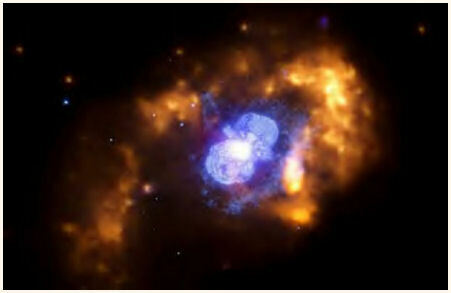 Last year NASA explained away metallic objects which could be seen orbiting the sun on their SOHO live feed. A police officer attempted to chase tall blonde humanoids at the site of a crop circle formation, only to be outran at beyond 50 mph. Israeli military officials earlier this year reported contact with similar tall blonde extraterrestrials who identified themselves as being such. Witnesses in various states in the Midwest region have reported several instances of seeing huge fireballs of blue or green which so alarmed them that they reported a possible missile attack on more than one occasion. On April 5th Intelsat’s Galaxy 15 satellite stopped responding to commands. A solar flare is blamed for destroying the satellite’s ability to receive communication, even though it has continued in its orbit and its C -band telecommunications is still functioning. This piece of equipment can potentially take over the signals of other satellites, and it leaves questions as to what would stop its ability to receive commands, as it otherwise is fully functional, now especially, since something strange has gone wrong with another piece of space technology since the Galaxy 15. 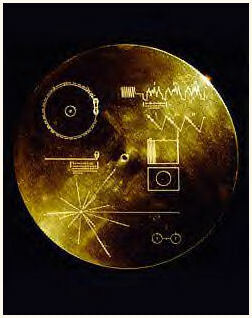 Voyager 2, an unmanned space probe launched in 1977, was sent to explore the far reaches of the solar system with a message on board. 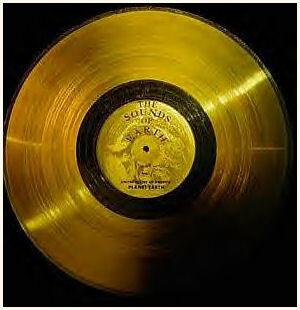 This message is called the Golden Record. This is a collection of recordings of sounds and images from diverse cultures of life on Earth which is intended to be found by extraterrestrials. Someone has perhaps answered the greeting, because on April 22 of this year it began sending back strange messages which scientists say they are not able to decode. A German scientist named Hartwig Hausdorf is convinced that Voyager 2 has been intercepted by extraterrestrials and is sending back data from them. The space probe is otherwise functioning properly, just as Galaxy 15. NASA will almost surely provide an explanation which has nothing to do with the possibility that non humans have responded through Voyager 2. Maybe it is an interesting time to consider what the word NASA means in Hebrew and Chaldean. nasa – to lift or carry away. nasha – (identical Hebrew spelling to nasa minus one vowel point difference) to lead astray, seduce, beguile, deceive. This entry was posted on 05/15/2010 at 5:44 PM and is filed under 08 : The Alien Lie with tags 1977, Alien, alien contact, alien disclosure, alien race, alien sightings, aliens, angels, anlien intelligence, Christian, contact, craft, end times, ETs, extraterrestrial, fallen angels, Galaxy 15, Golden Record, government, Hausdorf, Hebrew Chaldean, humanity, Illuminati, Intelsat, Last Days, masses, messages, NASA, New World Order, NWO, politics, recordings, satellite, society, sociology, SOHO, Sounds of Earth, Space, space craft, space exploration, space program, tall blonde, Tribulation, UFO, UFO sightings, Voyager 2. You can follow any responses to this entry through the RSS 2.0 feed. You can leave a response, or trackback from your own site.